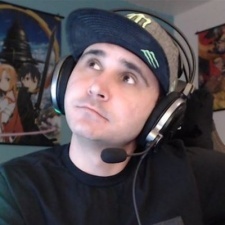 Twitch's summit1g is leading the chart for last week. The streamer has been focusing on Grant Theft Auto: V for a couple of weeks now, and its proving to be a success for him. Riot Games' Twitch is in second place after a sizeable 83.2 per cent increase in hours watched. The League of Legends LCS quarterfinal matches are keeping fans glued to Riot's channel. Following this, League of Legends streamer loltyler1 is in third place after a 55.5 per cent increase in hours watched last week. FaZe Clan's Tfue is in fourth place, moving into the chart again after a meteoric 151.5 per cent increase in hours watched in the last week. Another burst of interest in Fortnite is seeing some of its biggest creators return to the top spots. 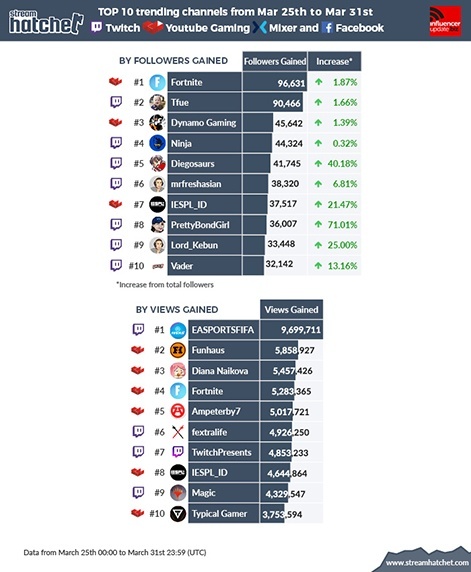 Twitch channel Magic is a new entry at fifth after racking up over 1.9 million hours watched in the last week. The channel, as the name suggests, is covering Magic: The Gathering. Last week saw the Mythic invitational take place during PAX East. Fortnite fanatic Ninja falls to sixth place after a 7.6 per cent decrease in views. While a return to his flagship title saw Ninja back in the top 10, he's slowly falling again under the weight of esports and Twitch's current GTA trend. 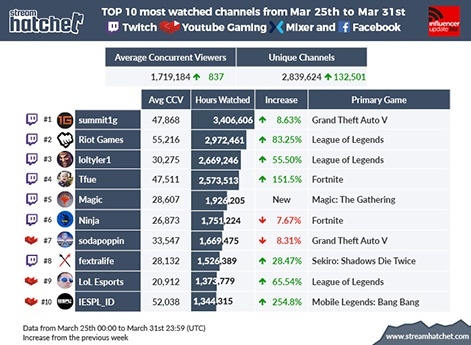 That said, GTA: V YouTuber Sodapoppin is down to eighth place after an 8.3 per cent decrease in views this week, so perhaps not everyone is benefitting from GTA: V.
LoL Esports' YouTube channel takes ninth this week after a 65.5 per cent increase in hours watched, and YouTube channel IESPL_ID is a fresh entry in tenth. The channel has been focusing on Mobile Legends: Bang Bang and saw views rocket up by a huge 254.8 per cent in the last week.